Owner and brewer Teo Ahlbrandt-Watson (center) and comrades are ready to sell you beer. 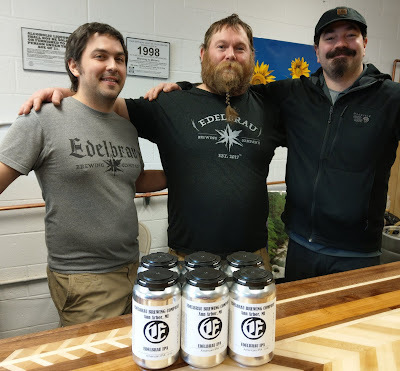 Edelbrau Brewing, on Ann Arbor's south side, is officially opening its doors to the public beginning Friday, February 15, according to owner and brewer Teo Ahlbrandt-Watson. For now, it's a beer-to-go only retail operation, with cans of Amber Ale, American Pale Ale, Edelbrau IPA, Helles, Imperial IPA Citra, and Oat Malt Brown Ale (and t-shirts and other gear) available for purchase, while supplies last. At some point in the future, Edelbrau plans on adding distilled products to the lineup. 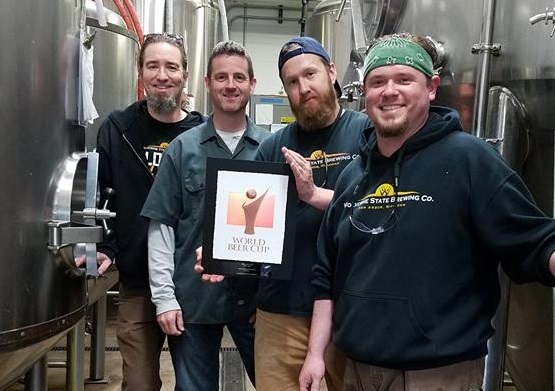 Ahlbrandt-Watson is a veteran of the Michigan brewing scene, with previous stints at Arbor Brewing and Dark Horse Brewing, as well as consulting gigs with Big Hart Brewing and Biercamp, among other breweries. He also has an advanced degree in microbiology from Eastern Michigan University. You can read more about Edelbrau, Teo, and his philosophy in this 2017 article from The Ann Arbor News. Edelbrau's retail room is in an industrial park at 719 W. Ellsworth Rd., and has limited hours for now: Friday, 5:30 - 9 p.m. and Saturday and Sunday, noon to 9 p.m.
You get a picture of Oliver because I don't have one of Alexis. It's the end of an era. Wolverine State Brewing has announced its longtime head brewer, Oliver Roberts, is leaving at the end of February and will be succeeded by Alexis Jorgensen, formerly of Stone Brewing and Witch's Hat Brewing. I first met Oliver back in 2010 at – as I recall – the Michigan Brewers Guild Summer Beer Festival. 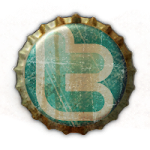 Wolverine was getting ready to open its taproom but the only product anyone in my circle had ever had from them was their Premium Lager, which at the time was contract brewed and bottled at the now-defunct Michigan Brewing Co. in Webberville. Truth be told, I did not like that beer nor did I know anyone who had tried it who did. When Oliver offered me the first (as far as I know) Wolverine-brewed beer, a Baltic porter confusingly named Faustian Stout, my taste buds danced with joy. I told everyone I knew to put aside their impressions of Premium Lager and give the new brewery a chance. Ever since, I've rarely – maybe even never – been disappointed with any Wolverine beer. Oliver is planning on opening his own brewery, up in gorgeous Beulah. I hope to have a chance to catch up with him before he goes to get more details. I'll miss seeing him around, but I trust Alexis and the team at Wolverine will carry on the tradition of finely crafted lagers Wolverine has become renowned for. ANN ARBOR, Mich. -- Wolverine State Brewing Co is pleased to announce that it has named Alexis Jorgensen as Wolverine’s next Head Brewer and Production Manager. Jorgensen will succeed Oliver Roberts, who currently holds the position, when he steps down at the end of February. Jorgensen’s career in the craft beer industry includes prior positions at Witch’s Hat Brewing in South Lyon, Michigan, Stone Brewing in California, and Begyle Brewing in Chicago. Wolverine’s current head brewer and production manager, Oliver Roberts, has served in that role since prior to the opening of the brewery in Ann Arbor in 2010. He will be leaving Wolverine at the end of February to start a brewery outside of Traverse City, Michigan. Wolverine State Brewing Co. was founded in 2006 by longtime friends and Ann Arborites, Matt Roy and Trevor Thrall. Production began at 2019 W. Stadium in early 2010 under the direction of Brewmaster Oliver Roberts, and the taproom opened at that same location later in 2010. Wolverine State, the leader of the Lager Revolution, specializes in creating balanced, unique, and innovative lagers, and boasts a portfolio of more than 200 varieties. "Hey, Bob, when is the food coming out? I'm wasting away here!" Fall in Michigan is in full swing, and that means a couple things: harvest time and Halloween. Also, beer. Three area eateries are blending all these things together in ticketed events coming up later this October. First up is the Fillmore Bar and Grill (formerly Terry B's) in Dexter and their Halloween-themed beer dinner on October 24. 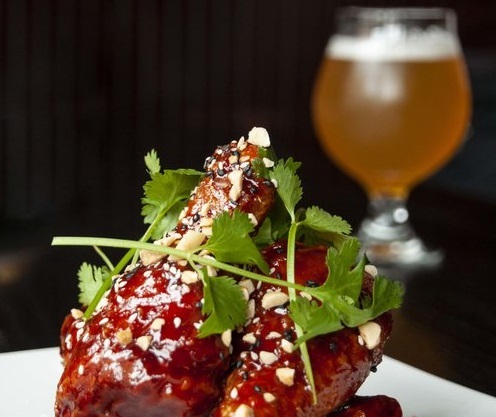 Tickets are $50 and include five courses and a welcome beer. Pairings include brews from Arbor Brewing, Dark Horse, Jolly Pumpkin, New Holland, North Peak, and Witch's Hat. Call 734-426-3727 to reserve your place, and take a look at the full menu here (warning: pdf). 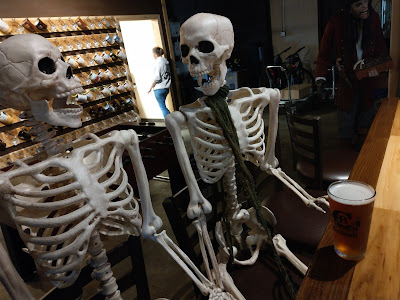 Finally, Ollie Food + Spirits in Ypsilanti is teaming up with Bell's Brewery for an October 29 Halloween beer dinner. Four courses of harvest-inspired food will be paired with such brews as Larry's Latest Fruit Ale, Two Hearted Ale, Arabicadabra Coffee Milk Stout, Third Coast Ale, and Black Note Stout. Tickets are $45 (or $80 for two) and can be purchased here. 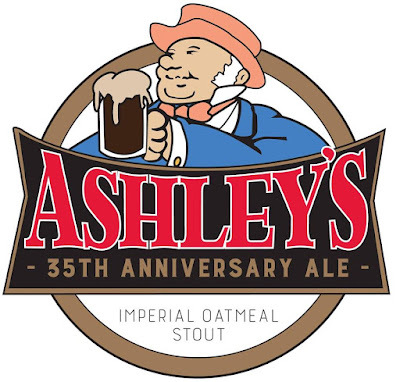 Before craft beer was cool, before there was a multi-tap bar on every corner in every city, before many Millennial beer snobs were even born... there was Ashley's in Ann Arbor. 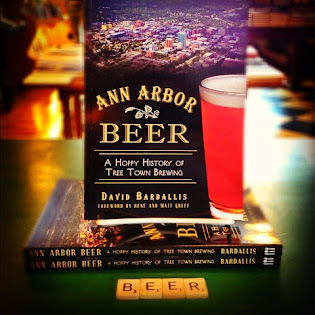 For 35 years, this cozy little campus gem has been slinging suds from around the world, and now they're teaming up with Michigan's largest brewery, Bell's, to host a five-day anniversary celebration September 16-20. 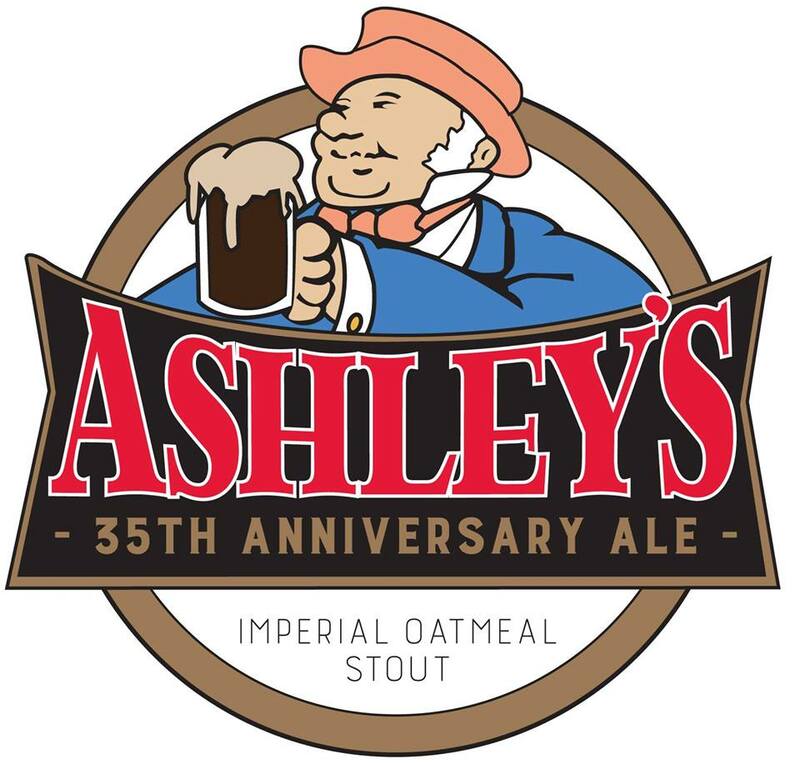 The fun begins Sunday, September 16, with the 5 p.m. release of Ashley's 35th Anniversary Ale, an imperial oatmeal stout specially brewed by Bell's for the occasion. On Monday, September 17, Bell's will be on hand to help host Sporcle live trivia games at 7 and 8 p.m. and give cool brewery swag to all the big brained people. Tuesday, September 18, brings a ticketed event, Bell's Barrel Aged Flight, from 6-10 p.m. (For more info and to get tickets, which are $20, go here.) On Wednesday, September 19, dig a Bell's Brewery Happy Hour from 6-8 p.m. featuring, for $10, four beer samples paired with various appetizers. 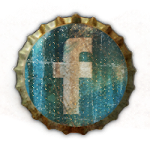 Finally, at 6 p.m. on Thursday, September 20, there's a yet-to-be-named "mystery tapping," with clues to be provided as the appointed time approaches (follow Ashley's on Facebook).